Recently I had a bike trip on Avenger 220 to Dalhousie and Dharamshala with one of my friend. 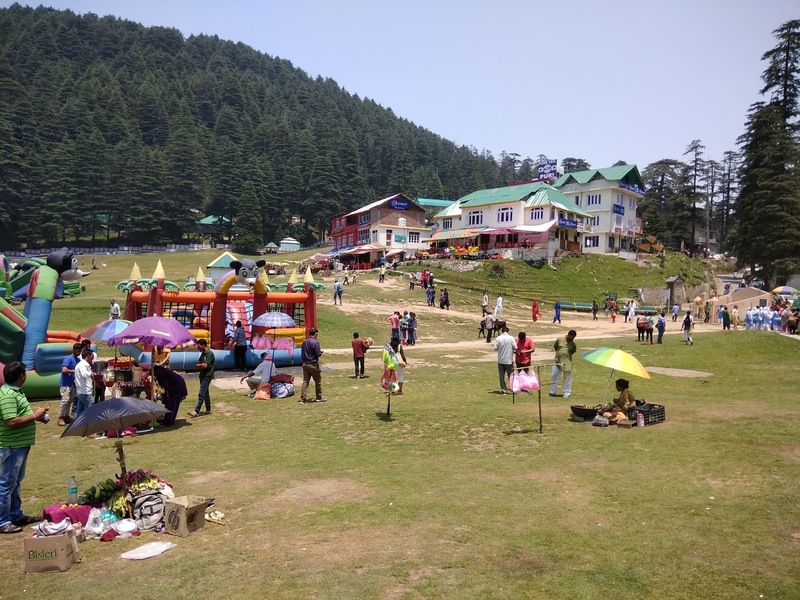 This is detailed blog about where to stay, where to eat, places to visit, and other do’s and don’t you must read before proceeding to the above destinations as a precautionary measure. Major points have been highlighted for a quick review. Don’t buy any packaged water in himachal, normal water is far better than packaged water. Be sure to carry enough cash as there are no modes of payment available other than cash. 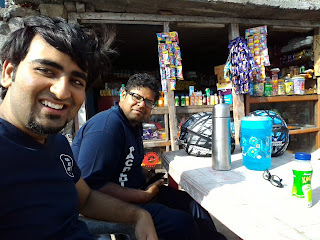 Our first meeting point was GT Karnal Road (IOC Petrol Pump) where we planned our first refill but we couldn’t find the petrol pump there(thanks to Google maps). On 23:30 we reached Amrik Sukhdev, Murthal for dinner. It is overcrowded as always, so if you are in a hurry or with your family kindly avoid it and dine at Gulshan Dhaba or Food Garage both having comparable food. Near Ratangarh at around 02:15 my bike’s rear tyre got punctured but luckily we found a 24X7 Puncture Repair Shop within a distance of 1.5 kms. Although there are many puncture repair shops nearby but all were closed at night. It took us 1 hour and 30 min to get back on track. 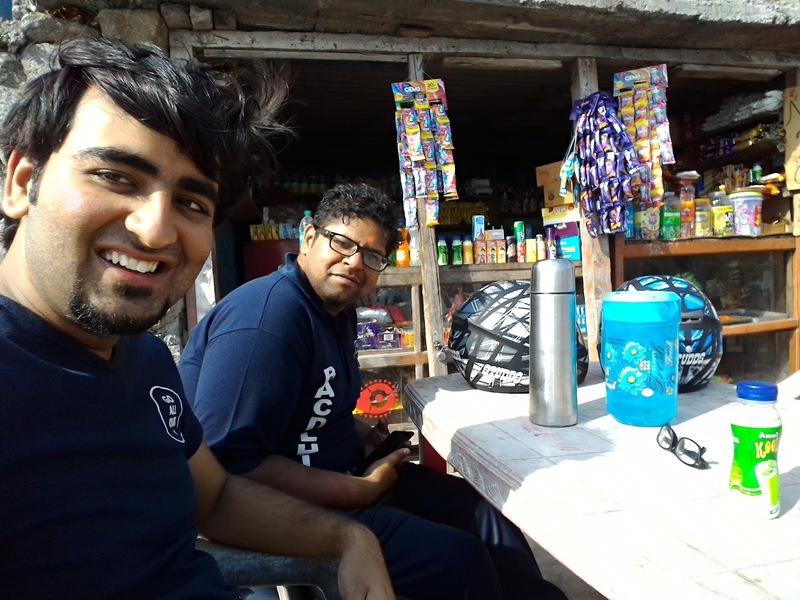 After that we continued our journey to Ludhiana, took a little tea break at 06:00. Thereafter we planned our breakfast at Basant Vegetarian Restaurant in Pathankot. 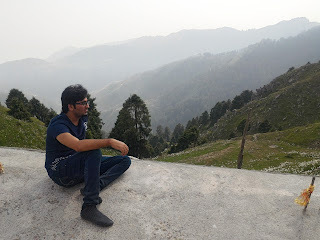 However, our estimated time of arrival (10:00) didn’t match restaurants opening time (11:00) so we dropped the plan and searched for a good dine in place on our way from Phagwara to Pathankot. 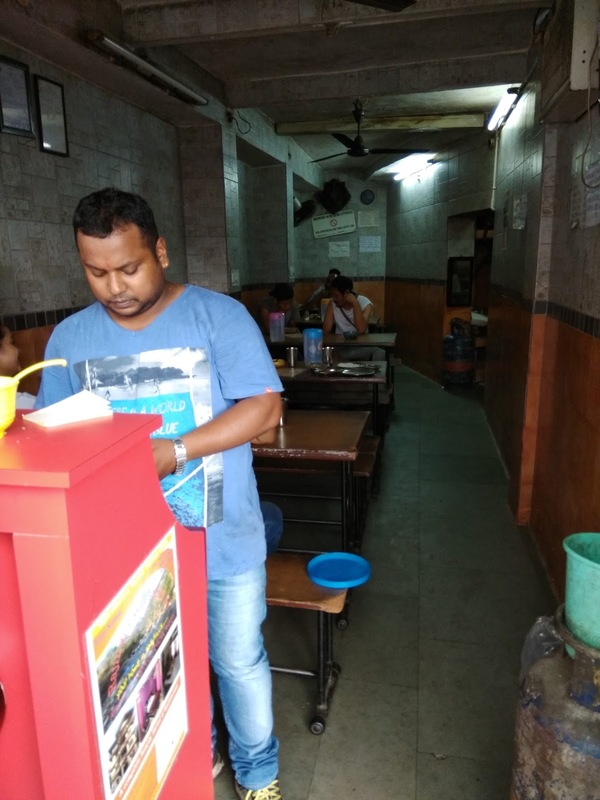 To our surprise, there are only two-three good dine in places and one of them was The Punjabi’s Dhaba. The food was really good and hygienic. We had our breakfast here and continued our journey. We reached Dunera where the hills(real fun) start. The road conditions here were good but it was tiring to drive 40-50 kms on hills. We took a right turn from banikhet to reach our destination. 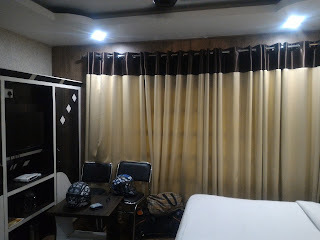 We stayed at Hotel Himgiri (Rs. 1250 per day accommodation only) which is pretty good and recommended. Its entrance might surprise you but the rooms won’t. 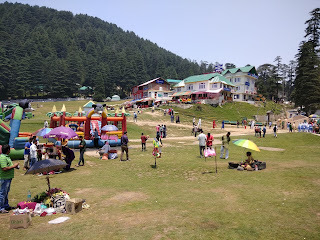 On next day we visited Khajjiar, the mini Switzerland (Driving time 2 hours 30 mins for 22kms as the road condition is really bad). It’s an adventurous and cozy place. 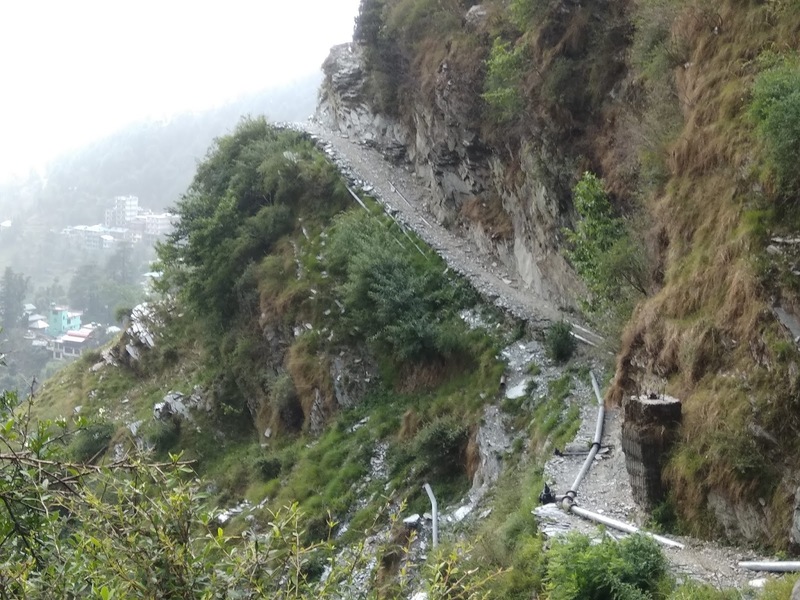 Road from Lakkadmandi to Khajjiar is under construction, the construction would take about an year. 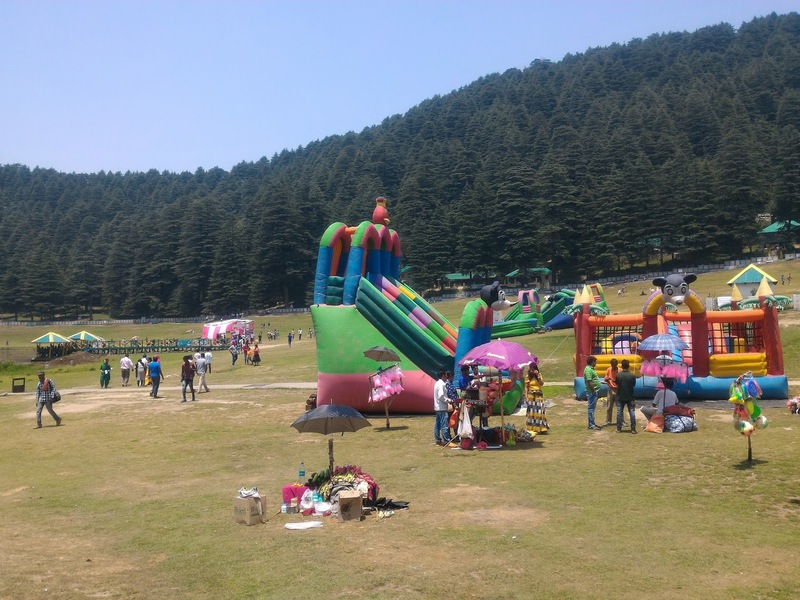 In Khajjiar, some adventure activities are available like horseriding, zorbing, paragliding (for both children and adults). For adults, it costs Rs Rs. 3,000 (can be bargained and Rs. 500 for children) and you can opt for gopro camera recording Rs 500 extra. Whereas, on the landing site one camera man is there and he can shoot (30 sec) video for free. One pilot name Mr Suresh, is the best pilot here and luckily he was my pilot. My friend could not go for this as the max weight allowed was 80kg. But the pilot suggested that he could come in the morning. To reach starting point for paragliding you have to do approx 15-20 min trekking on a steep slope which is quite difficult. 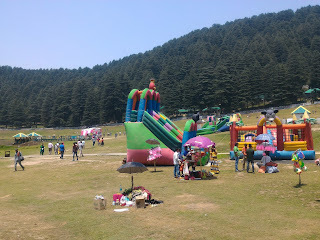 We left Khajjiar at 14:00 to reach Kalatop. There are no charges to visit anyplace from bike except kalatop. We wanted to visit kalatop but the security personnel didn’t allow us, he gave a reason that lots of vehicle are already are on kalatop so we can’t allow you to go with your vehicle. He gave us a suggestion to visit Dainkund Peak, the highest point in Dalhousie. And trust me this view is mesmerizing. 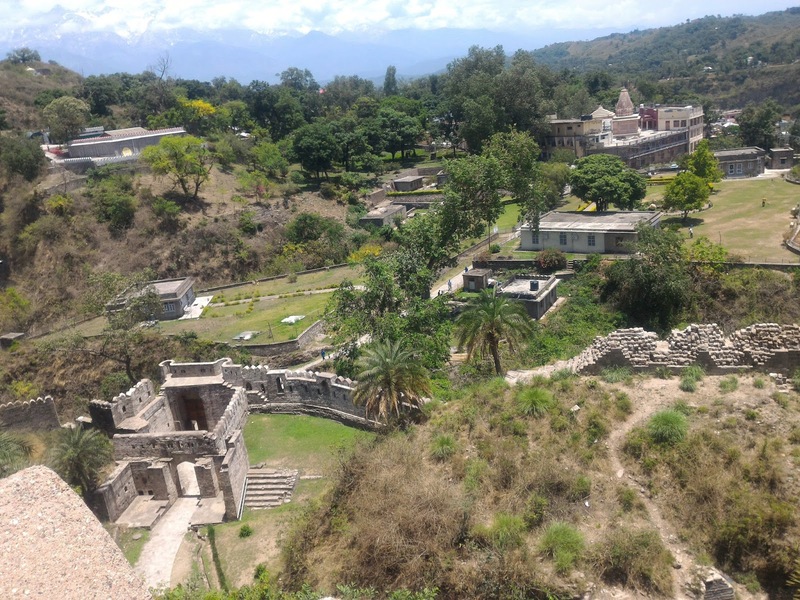 Roads conditions are good, and after 5km ride you have to park your vehicle and start trekking (around 1.3-1.5 kms) to reach the highest point i.e Pohlani Devi Temple. Unexpectedly here are some fast food shops which serve you yummy food. 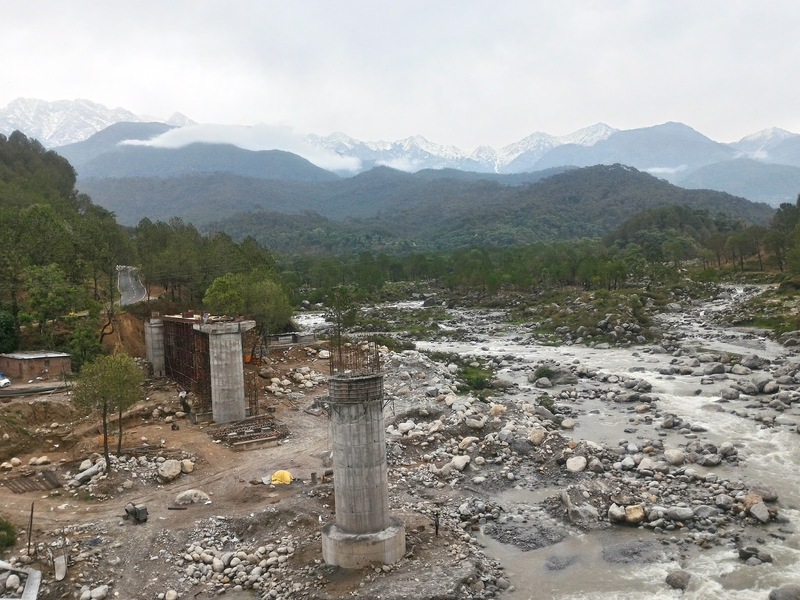 We saw refrigerator here and impatiently inquired about power, shop owner told us that, here it doesn’t matter how far one is situated from city or remote area, there is 100% electricity in every home of Himachal Pradesh. 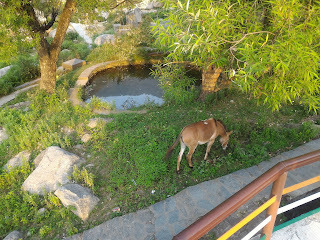 Anyhow after the darshan of Mata Pohlani Devi we came back to our hotel. 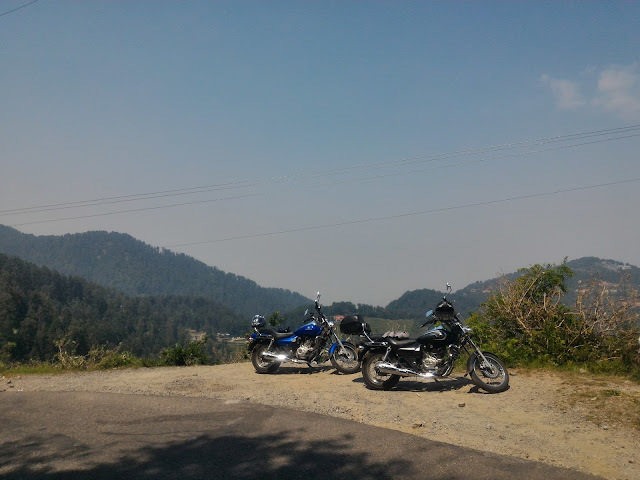 Our bike was almost out of fuel, Let me tell you that in Dalhousie only 2 petrol pumps are there one before Banikhet and one after Banikhet (You have to take right turn from Banikhet to reach Dalhousie). You can easily find SBI ATM here. In the Morning we checkout from our hotel and proceeded to Dharamshala. 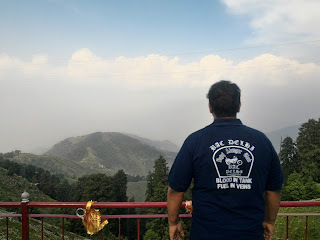 We took Dalhousie<Dunera<Bhagola<Khushinagar<Dharamshala road. From Dunera to Bhagola road conditions are bad, also you can find only 1 petrol pump in between. 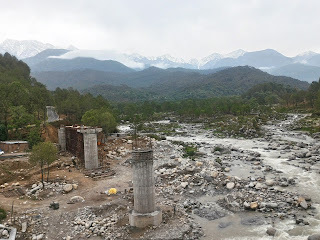 The best part of this route is NH 154 (a recommended route to Dharamshala), we rode our bike on this highway at 100-110 kmph to reach around 12:00 (3 hours for 115 kms) at Surbhi Guest House (Rs. 1417 per day with breakfast). 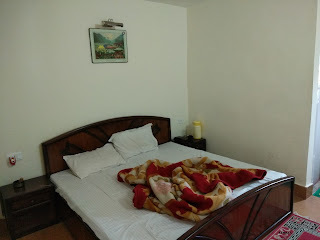 The rooms were much more comfortable than Himgiri and equally clean. 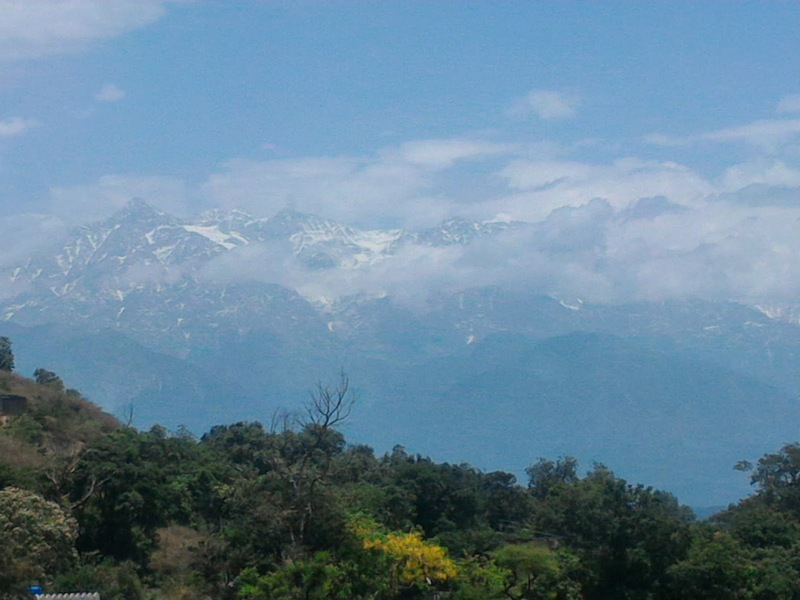 Dharamshala is way better than Dalhousie in terms of beauty, peace and also in terms of steep slopes. Amazing view of High Mountain covered with ice together with the cool breeze makes you feel in heaven. 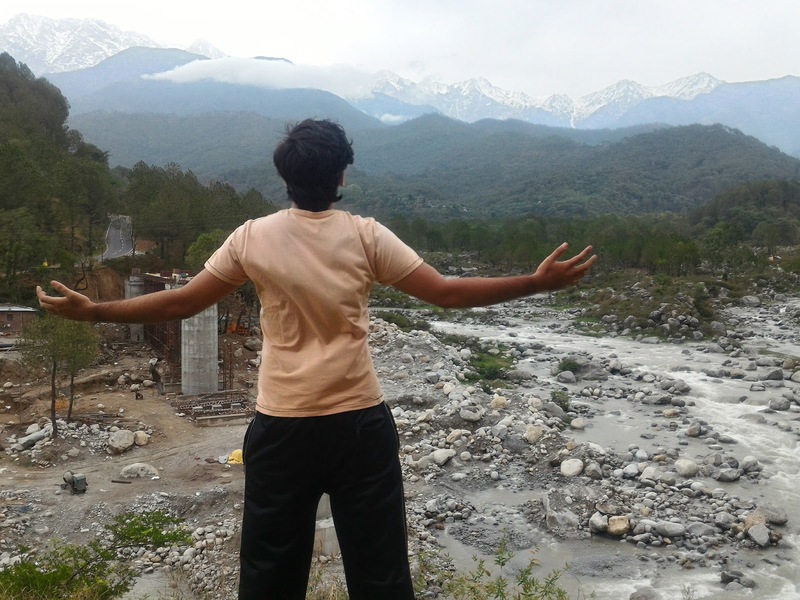 10 kms before Dharamshala we found a nice spot for photography (commonly known as Picnic Spot). 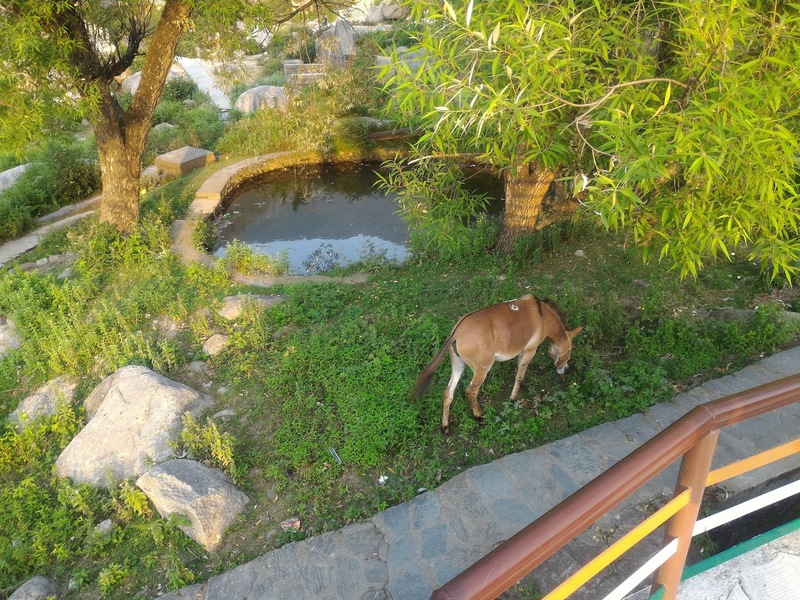 Here are a few clicks at the spot. 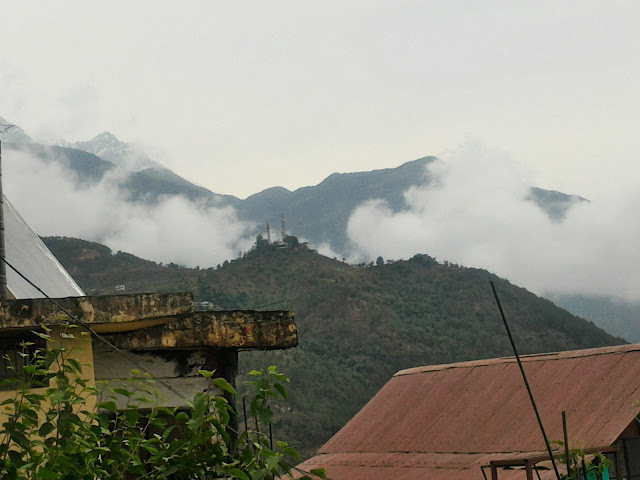 We went to Namgyal Monastery (Parking Charges Payable), Bhagsunag Waterfall, Dal Lake & Sunset View Point. 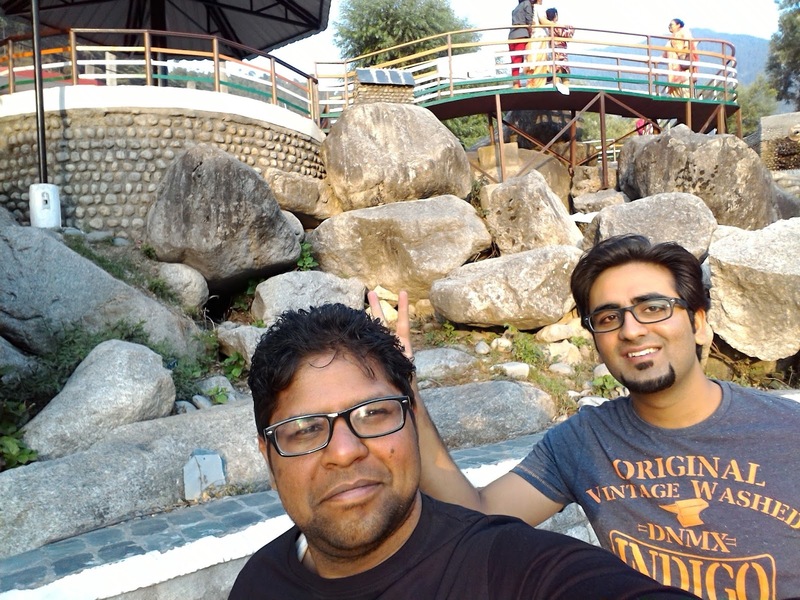 Every place is a one time visit but when we decided to go to Bhagsunag waterfall our decision went wrong. We took wrong route (please confirm the correct route with the locals) to reach this place and the route was only some 2-3 foot width. It was too scary to trek on it as on the other side there was a deep ditch. Anyway in the middle my friend asked me to proceed alone as he was too scared to proceed further. I made a decision not to continue alone so we decided to go back. Suddenly 4-5 goats came there and I, trying to scare away the goats mishit my friend’s head with my helmet. He was hurt badly. 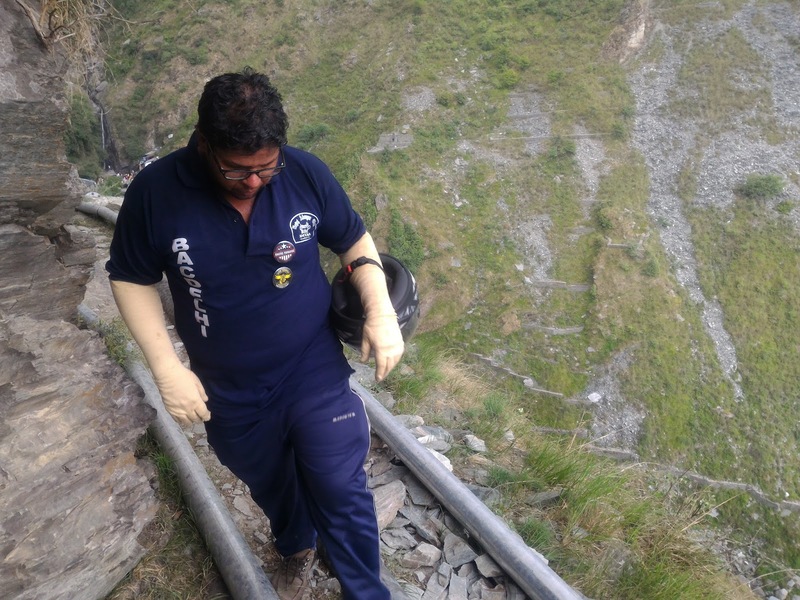 Anyway, I took my revenge from him for not completing the trek. Then we went to see Dal lake and Sunset view point (It is just an eat in open place where you can enjoy some food with the sunset). Unfortunately, it was a rainy day so we couldn’t see the sunset. In Dharamshala we had our dinner at Rajinder Vaishnav Dhaba (Rs 200 for two), price was not costly at all while the food quality was good. 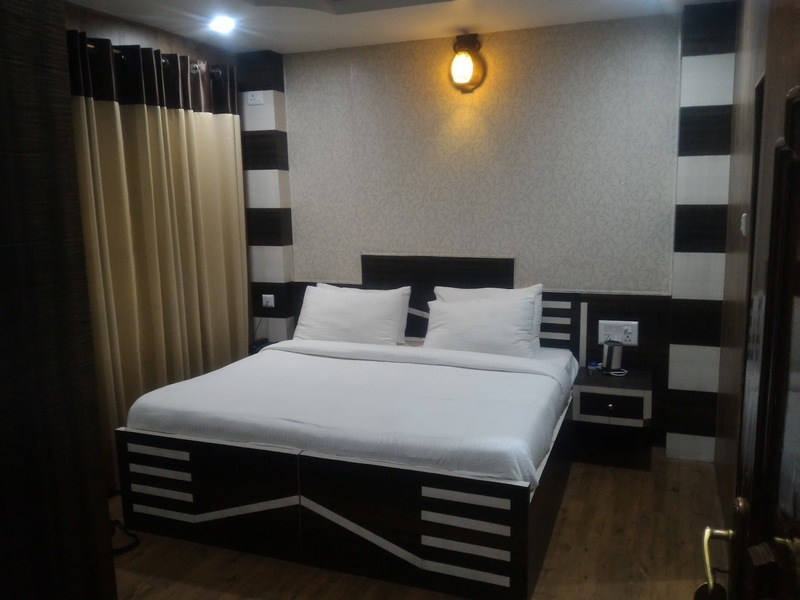 If you want some ambiance and want to pay more you can go Imperial 9 hotel (Rs 500 for two). Beware, one plant name Stinging Nettle locally know as kandli/bichhu grass is really dangerous. 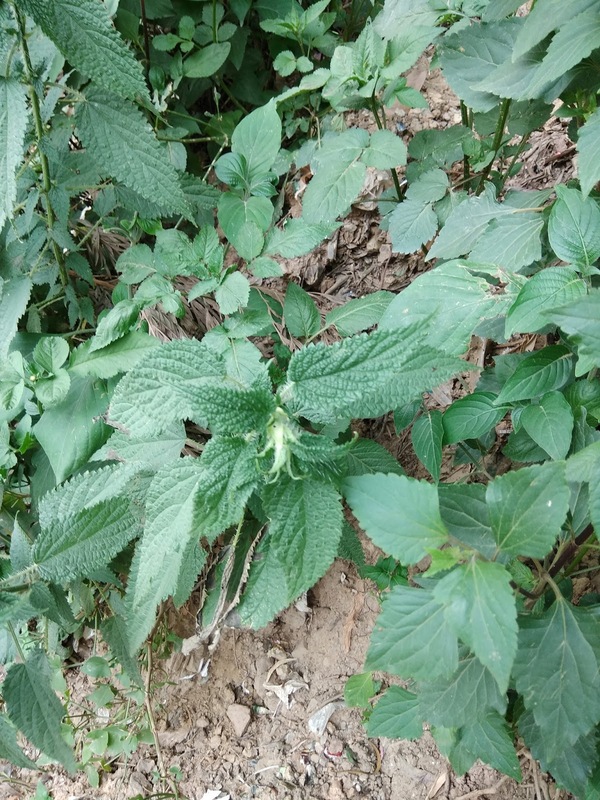 My left hand’s index finger just made a contact with the grass for 1 second and I felt pain equivalent to 100 needles being inserted in my body. The pain did go away in 3-4 hours but the itching took 8-9 hours. 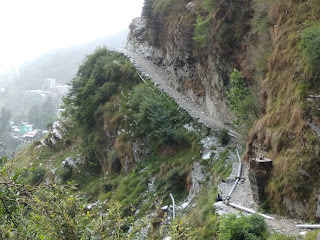 And one more thing i want to tell you, from Dharamshala if you want to go Mcleod Ganj, Please do not take Jogibara Road instead take Mcleod Ganj Road. Reason,this road has deep cut and your bike/car will not easily proceed. 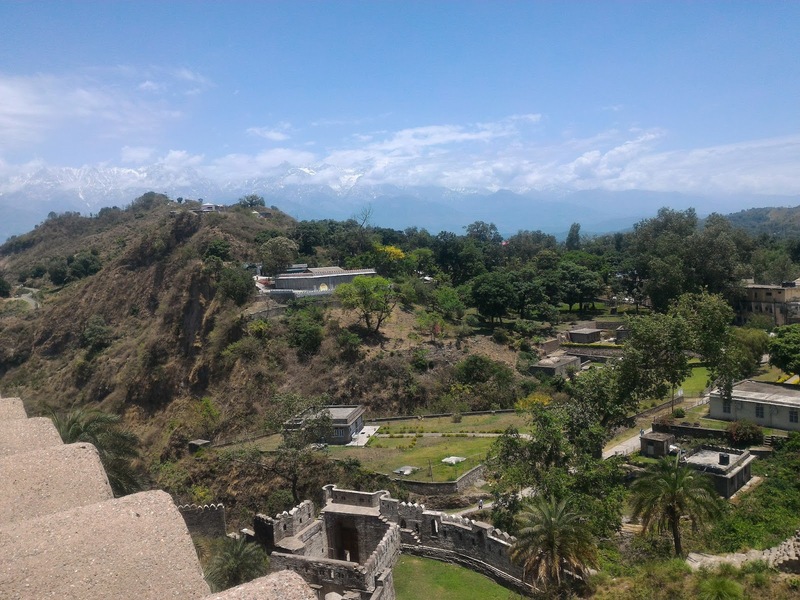 We checked out from our hotel and to visit Tea Husbandry and Agro Forestry Palampur (which was a waste of time as there is nothing here), then we went to Kangra Fort. 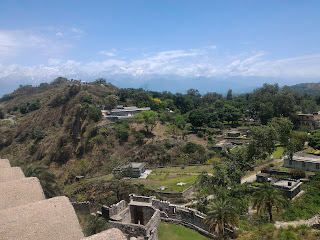 The fort is not a great thing to watch however the scenery was amazing. Later, we went to Jawala Ji Temple and finally home sweet home on 08th June morning. If you like this blog please comment and/or share this post. Apologies for any apparent error as this is my first blog. 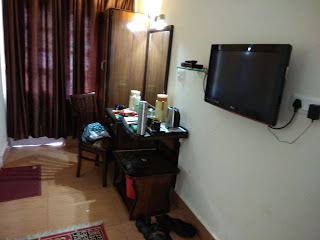 Also you can also suggest us to go to anyplace in India for which you want a detailed information, we will visit that place as early as we possible.